The Technogym Bike XT Pro recline exercise bike is the perfect choice as it brings you the full enjoyment of natural pedaling. The seat position and smooth flowing movement ensure optimal muscle involvement, whilst the CPR makes it simple to program the heart rate you want to maintain during exercise. The clear, high visibility display screen ensures that the machine’s different functions are easily accessible enabling users to train to their full potential. Most important of all is that every function has been carefully tailored to meet the needs of thousands of users, ensuring the Technogym XT Pro recline exercise and fitness bike can create the correct training with optimal programming for every individual, from the professional racer through to the office worker on a weight loss program. The Technogym Bike XT Pro recline exercise bike is the perfect choice as it brings you the full enjoyment of natural pedaling. The seat position and smooth flowing movement ensure optimal muscle involvement, whilst the CPR makes it simple to program the heart rate you want to maintain during exercise. The clear, high visibility display screen ensures that the machine’s different functions are easily accessible enabling users to train to their full potential. 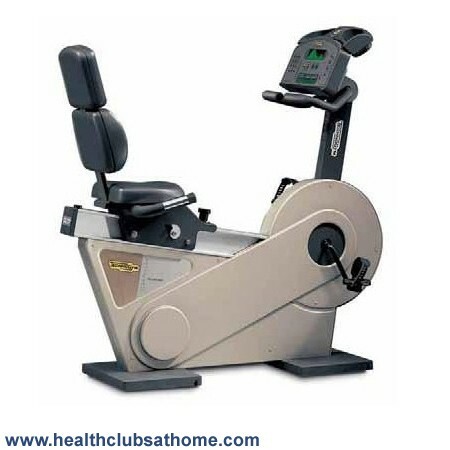 Most important of all is that every function has been carefully tailored to meet the needs of thousands of users, ensuring the Technogym XT Pro recline exercise and fitness bike can create the correct training with optimal programming for every individual, from the professional racer through to the office worker on a weight loss program.